A fun run and walk around Chalambar Golf Course was a big attraction at the 17th annual EGHS Charity Golf, Bowls and Fun Run Day. The new event saw a big group of runners and walkers turn out for the six-kilometre run and three-kilometre walk around the hilly Chalambar course, set by the Stawell and Ararat Cross Country Club who came on board to assist with the event. Sebastian Hopper was the first male across the line and Sarah Harwood the first female, with Mark and Mia Robb the first walkers over the line. Three-year-old Rafferty Burn took home the children’s prize after walking the entire three-kilometre course and was a crowd favourite. A big field of 84 golfers enjoyed the three person Ambrose event despite the windy conditions and major sponsor Kings Cars Ararat got to keep the car this year, with no holes-in-one scored on the 18th. The team of Peter Kerber, Phil Goudie and Marlene Goudie won the handicap trophy sponsored by V/Line, with runners up Trish Heard, Bernie Heard and Marg Lardner taking the runners up trophy sponsored by Brian Thomas Electrical. The winning ladies’ team comprised Marg Brehaut, Sandie Shaw and Helen Tucker. A small field of bowlers took to the greens, with the team of Sandra Tew, Pam Wright and Gloria Saunder winning two out of three games in the Jerram Auto and Electronics Centre sponsored two bowl triples. 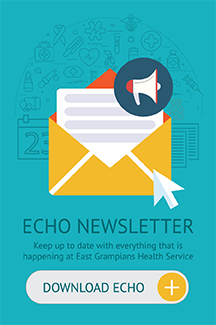 Chalambar Golf Club manager Tim Cronin presented a cheque to East Grampians Health Service for $3,380, as a result of the golf day. EGHS Director of Community Services Sally Philip thanked Chalambar Golf Club for its generous provision of facilities for the day and the assistance of staff as well as volunteers from the golf club, bowls club and the Stawell and Ararat Cross Country Club. 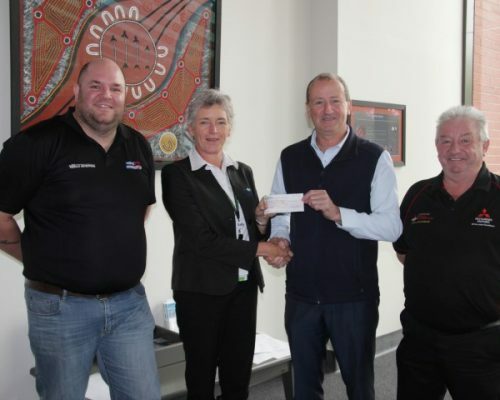 “The support of the Ararat and district community is amazing, we are so fortunate that organisations such as the Chalambar Golf Club get behind us with events such as the Golf Day, which has now been running for 17 years,” she said.